I am going to try something new to me this Sunday. 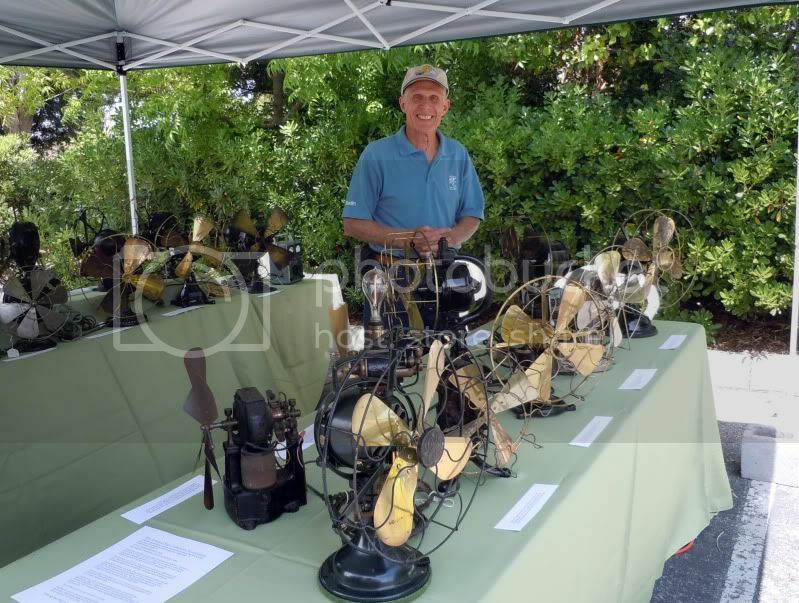 An historic mansion in Menlo Park just north of San Jose is having a 20 year celebration of the restoration of the home by hosting "Victorian Life". 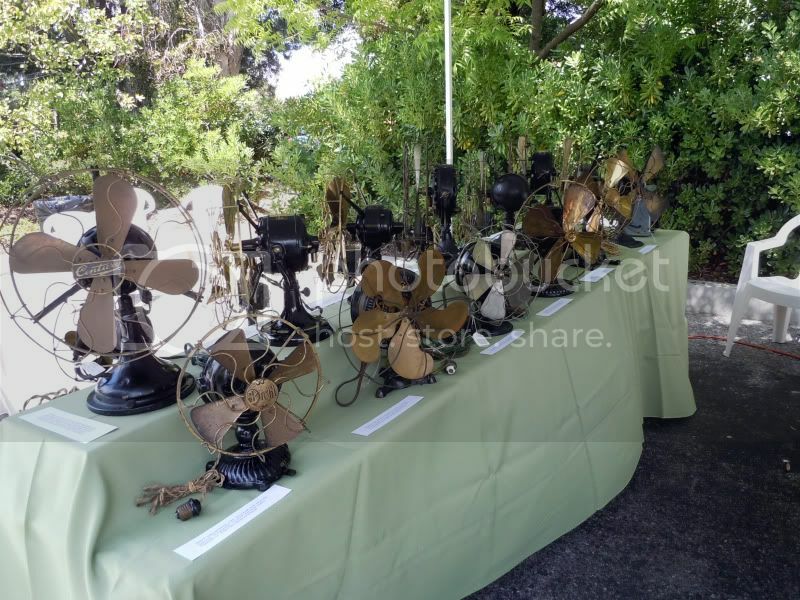 I will be taking at least 20 of my earliest fans from 1889 to c.1915 to display and run. Maybe few of you can make it to the show but, if you happen to live close or be in the area it should be an interesting show of various collections and artifacts. Free admission to boot. My fans will be set up in front of the missing front porch. They have promised to have the house painted and landscaped by this weekend. 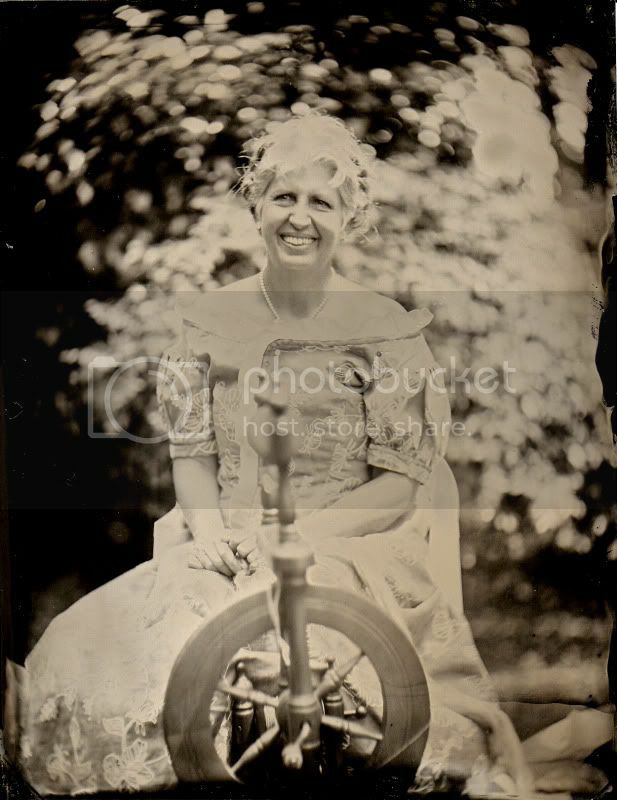 AFCA member Rene Rondeau will be showing and demonstrating his antique colloidal and tintype photography. 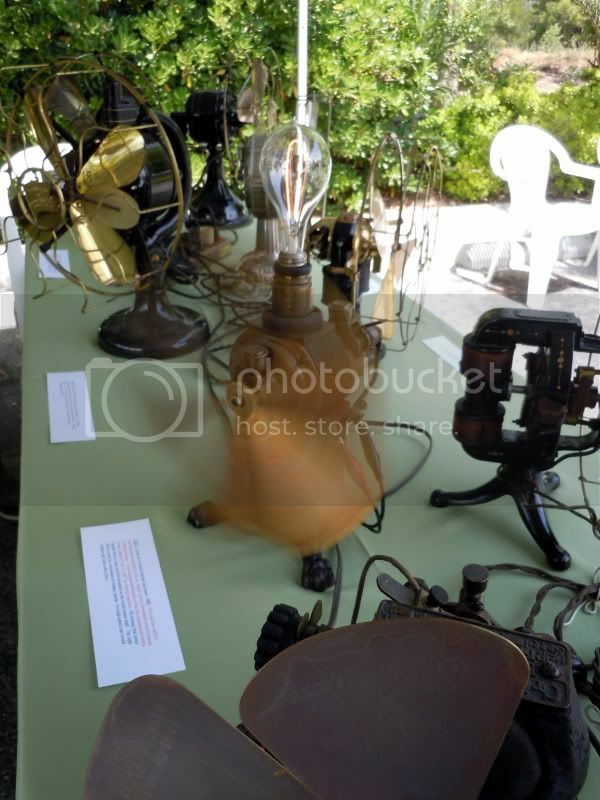 Antiques and collectibles on display will date from the Civil War era to about 1910-20. No intentions of hijacking this thread but that house project really fires me up !! Geoff, I know you have been reconstructing the barn you disassembled but I do see some lax workmanship from your photo. Are you adhering to "Code"? I hope, once you get it up, that it stays up and your fans stay dry. Man, are you really going to add another fan building? I think it will be really neat. Let us see your progress. Steve, that's kind of sad. Did you ask them about displaying the fans in the house? That would be much nicer and more appropriate, it would seem. I think they may have a full house with it being open, probably furnished, and with people going through the house. I would have liked to be on the lawn but the parking spot may work fine. I'll be over near the early cars (I'm assuming early horseless carriages) and the outhouses. The only potential problem is that they are providing me with a generator to power my fans. If it's a quiet Honda maybe no problem but, if a noisy generator, nobody is going to like that. I may have to put a sign on it "Generator supplied by Rengstorff House, not the fan guy- sorry about the noise." In any case I'll take a real long extension cord to try to get the generator away from me. For a first time fan show for me in public this will be fun and interesting to see how it goes. Steve, I think it's great that you are going to display antique fans to the general public. I hope it gets you some leads on acquiring some fans! Maybe you could bring along some Fan Collector Magazines to show and some membership applications to give out! I may bring a few of my own Fan Collectors but it's too late to get some from the Daggs which they had said they would send me a few. Nothing has arrived yet though and I didn't follow through timely to make sure they were on the way. I also requested some AFCA brochures. Good idea and hpefully I will be surprised with the arrival of the requested materials. Thanks Rene for posting your photos. I just downloaded mine. The show was a success although there were not a lot of people during the day. I caught Rene hiding in his dark room on the grassy lawn and was likewise busy tending my booth. What I did learn was that I could have taken less than half of the 27 fans which I had there. Most interest was centered on the right table and the feathervane and C&C were popular. The fans ran out of gas two times and, until I had their gas tank filled, I was momentarily out of business. The show had graciously supplied a generator to provide power for the fans. Luckily it was a whisper quiet Honda which I barely heard. The weather was as perfect as one could want and my location in the small parking lot under a nice, large canopy, was perfect. The Rengstorff House is located in an out-of-the-way location in a bayside park. Had it been nearer to the busy flow of weekend people I'm sure it would have been very crowded. As it was I got the time to explain my fans to the onlookers. One man told me when he first saw the fan collection that he didn't think too much about them. But, after taking a closer look he said he was amazed at the differences among the different fans and the details of them. I was surprised at the number of women who were drawn in for a closer look and asked questions. 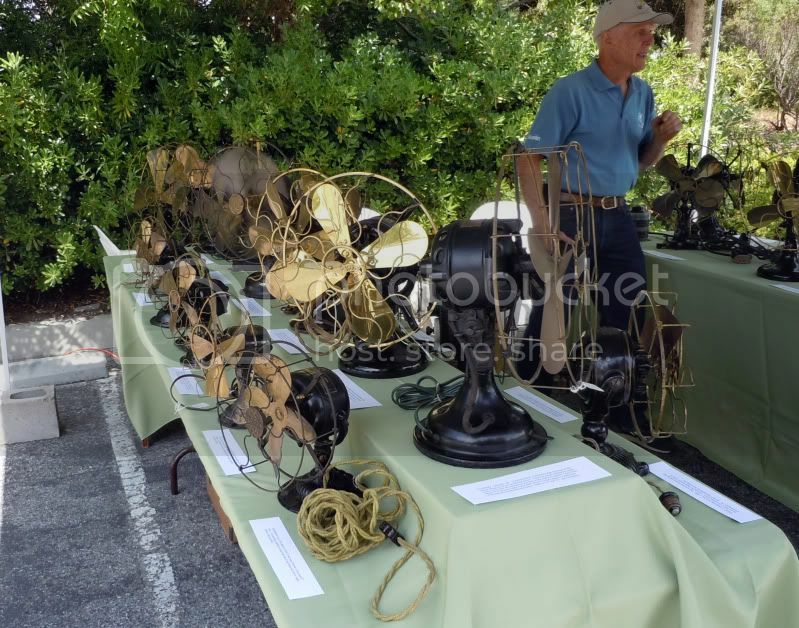 I was asked to display my fans at a fall car show in San Jose that I go to. It's a wonderful show in a historic park location and limited to pre-1945 stock cars and trucks with some other antiques, gas engines, etc. I'd like to do the show but also want to SEE the show so not sure what I will decide. What I really needed for the show was a source of DC. The night before I was soldering into a power strip a rectifier to one of the six outlets. Soldering is not something I have done much of nor had I even tried to see how my new Weller soldering station worked, I did succeed and the DC outlet on the power strip worked perfectly. Hooked up to a rectifier I can now run my 6 volt Edison or the 110 v. C&C and other DC fans. I even had the Western Electric bipolar running from that DC outlet and only remembered at the show's end that the WE fan already had a rectifier in the base but it fan fine on a double dose of DC current. I have to say that the C&C fan runs just as smooth and quietly as ANY of the fans I have, maybe better than most. For the very first "mains powered" fans on the planet that's quite an achievement. Many thanks to Alan Willms for getting this fan running and selling it to me. We had both seen it on ebay last year missing the blade, much of the light socket, brushes, and with a problem in the rotor where Alan had to rewind one section of the rotor. He was willing to sell it to me and, whether he or I won it, I knew that I would need Alan's expert help to make it a complete and working fan so refrained from bidding. The blade that Alan made for it is a work of art. The bearings are worn some but the way the fan runs you would never know it. Sometimes I worry that the bulb will burn out or that the government will outlaw incandescent bulbs and I will have to run a compact flourescent bult in the fan. Just won't be the same with a new bulb. In fact, the fan requires an early carbon filament bulb to even work. Modern reproductions of early bulbs do not work. It's the correct amount of resistance that is needed and you have to buy an expensive bulb and try it to see if it will work. Long live that old bulb! Page processed in 0.2158 seconds (31% database + 69% PHP). 27 queries executed.